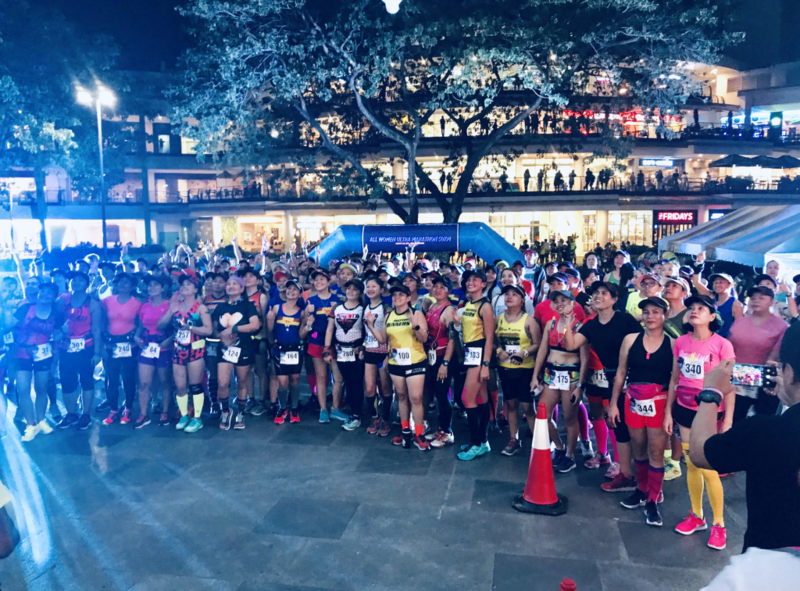 Given the thousands of running enthusiasts that pound our streets — including this Sunday’s awaited SM2SM Run — underneath each pair of legs is a pair of running shoes. We all have one, some two, others three or four pairs of running shoes. Kyle Kokseng is a runner. He has finished three 42Ks: In 2013, the Cebu Marathon; and last year, in Tokyo and Chicago. Kyle has conceptualized a big-hearted project. “Heart for Soles is a passion project by an average guy who likes running a little too much,” Kyle said in the poster. “After cleaning out his closet, he found several pairs of shoes that were still useable and hard a lot of mileage left in them. So instead of throwing them out, he decided to donate them to athlete scholars from public schools in Cebu City who have the ability but no capacity for equipment and gear. How to join? Kyle explains: (1) Donate your old running shoes (running shoes only). Must be clean and in good condition. No tears, no holes. You wouldn’t want someone else wearing your smelly damaged shoes, right? (2) Tie the shoelaces of the pair so we won’t be searching for a missing shoes. (3) Attach an info card/sheet with the ff. details: size, men’s or women’s, inspirational message to the recipient. (4) You may or not put your name on the info card. (5) Drop off your old and preloved running shoes at the donation boxa at the main mall ground floor of Banilad Town Centre (BTC). For more details, check Instagram or FB: @heartforsolesph. And in advance for donating to our less fortunate runner-friends, Kyle says: SHOE-lamat! I talk about these “back pages” because the women and men who report and publish sports stories have, for the past 33 years, practiced an unbroken tradition. We, the sportswriters, congregate and deliberate on the previous year’s best performers and, on one grand occasion, we honor these athletes and sportsmen for their outstanding feats. The 33rd SAC-SMB Cebu Sports Awards will be this Tuesday, March 31, from 3 to 6 p.m. at the Activity Center of the Ayala Center Cebu. SAC stands for Sportswriters Association of Cebu while SMB is one of the nation’s largest conglomerates, San Miguel Brewery, Inc.
What we, the sportswriters, do is this: We meet several times, submit nominations via email; we research on the top achievers of the past year; from a long list, we trim down the names, classify whether last year’s victory was international or national until we decide on the final list of awardees. At the end of the deliberations, we have accumulated a full set of honorees. The Major Awardees, the Citation Awardees, and the Special Awardees, which include the Sportsman of the Year and the Presidential Awardee. Finally, among the list of over a hundred athletes, we award that one person who will be named “Athlete of the Year.” While all other names are announced beforehand, the suspense of this AOTY trophy is reserved until the very end, up on stage this Tuesday in Ayala, when his or her name will be announced. I’ve been writing sports for 20 years now and, like Nimrod Quiñones, who’s been around even longer, I’ve been attending the Awarding for a long time. I recall Z Gorres in Casino Español, just months after his near-death Las Vegas scare, walking to the stage to receive his award with boxing godfather Tony Aldeguer as our guest of honor. Manny Pacquiao, Nonito Donaire and Gerry Peñalosa graced one star-studded affair. MAJOR AWARDEES: BASKETBALL: June Mar Fajardo and Aldrich Ramos. BEACH VOLLEYBALL: Edmar Bonono and Edward Ybañez. BOXING: Donnie Nietes. CHESS: Kim Steven Yap. CYCLING: Nino Surban and John Mier. Dancesport: Charlea Lagaras and Ronnie Vergara. FOOTBALL: Itsuko Bacatan, Alexandrea Gumilao, Arantxa Mari Trebol, Jan Reese Jumawan and Alexa Ceniza. GYMNASTICS: Daniella Reggie de la Pisa. JUDO: Kiyomi Watanabe. MUAY THAI: Joel Zaspa. RUNNING: Mary Joy Tabal. SOFTBALL: Isaac Bacarisas, Jasper Cabrera, Ben Maravilles, Oscar Bradshaw IV and Jerome Bacarisas. TABLE TENNIS: Richard Gonzales. TAEKWONDO: Clement Tan, MacAvyngr Alob, Nichole Maurin, Rinna Babanto and Glen Lava. TRIATHLON: Joseph Miller, Frederic Yuan Chiongbian and Aaliyah Ricci Mataragnon. CITATION AWARDEES: ARCHERY: Lloyd Apawan and Vincent Villa. Athletics: Mike Lopez, Ninolito Justiane and Ivan Miguel Santos. BADMINTON: Zinah Marichelle Bejosa. BASKETBALL: SWU, Sacred Heart School-Ateneo de Cebu, UV Passerelle team, UV 16-Under team, Mark Tallo, Felixberto Jabonetta IV, Greg Slaughter, Jerick Canada, Kent Vincent Moral, Ken Gato, Arnie Christian Padilla, Andres Desiderio, Dave Yu, Leonard Santillan, Andrew Velasco and Mary Jean Pascual. BEACH VOLLEYBALL: Jade Becaldo, Louije Tipgos, UV, and SWU. BILLIARDS: Rubilen Amit and Warren Kiamco. BOWLING: Jomar Jumapao, Alexis Sy, Xyrra Cabusas, GJ Buyco and Alex Lagcao. BOXING: Milan Melindo, Genesis Servania, Arthur Villanueva, Ian Refuela, Junrel Jimenez, Kit Garces, Jorge Edusma, Vicente Sios-e, Jr., John Nino Vega, Albert and Jason Pagara. CHESS: Elwin Retanal, Dwyane Abella, Kyle Sevillano, Jerish Velarde, Catherine Quinanola, and Laila Camel Nadera. CYCLING: Ica Maximo. DANCESPORT: Dancesport Team Cebu City. 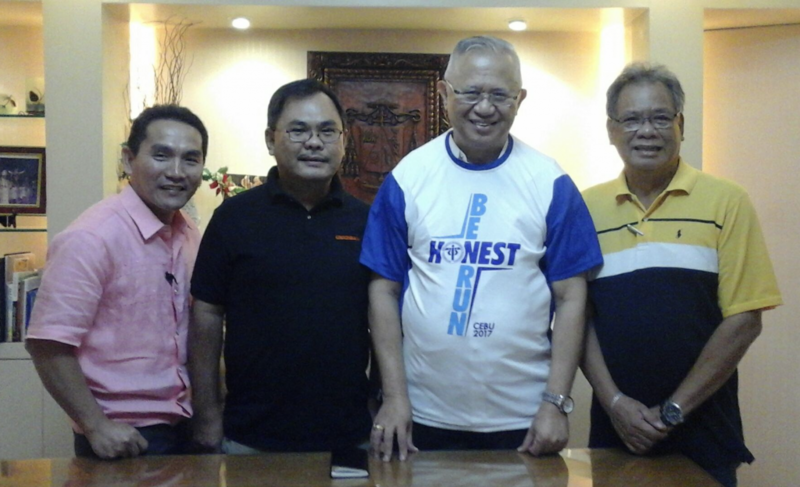 EXTREME SPORTS: Dandoy Tongco, Rafael Trinidad, Joshua and Jan Joseph Suson. FOOTBALL: Cviraa elem. team, Don Bosco futsal team, Joaquin Buyco, Charles Unabia, Enzo Ceniza, Yves Caballero, Jesse Semblante, Kyle Ronquillo, Marcel Ouano, Roygbiv Barro, and Leo Maquiling. GOLF: LJ Go and Charles Hong. JUDO: Joaquin Fernandez. KARTING: Vince Rojo and Craig Aleman. KARATEDO: Nino Avilla, Precious Belicario, Charen Villamor, Karylle Perez, Hayashi-ha Shitoryukai team, and Rafael Vidal. MMA: Yawyan ArDigma. MOTOCROSS: Jon Eleazer Adlawan and BJ Pepito. MUAY THAI: Ken Caniga and Lara Jane Flores. RUGBY: Aiumi Ono, Madille Salinas and Cebu Lady Dragons. 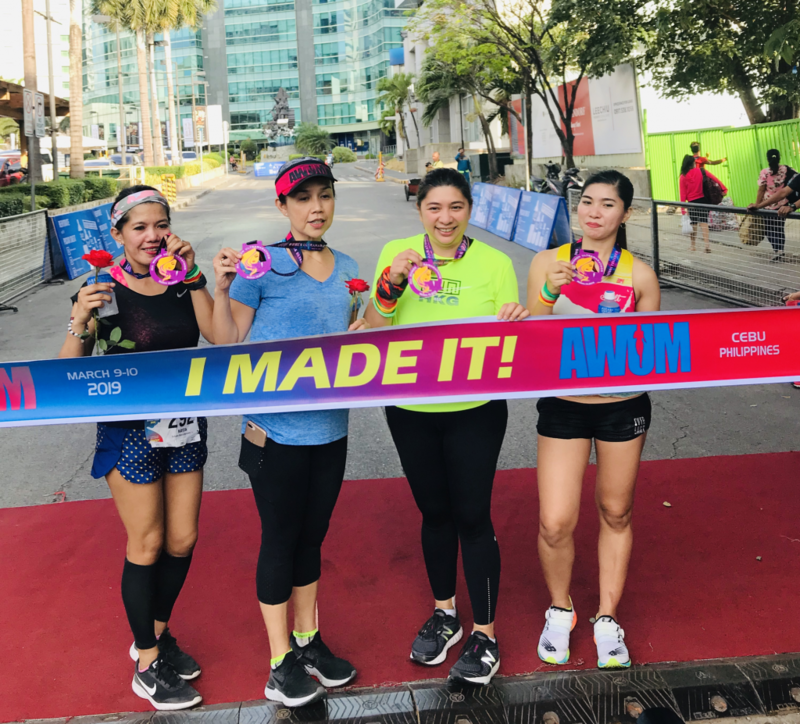 RUNNING: Maritess Bitbit, Brian Guillan, and Noel Tillor. SCRABBLE: Michael Tuba and Frances Lim. SEPAK TAKRAW: Rhey Ortouste and Metodio Suico. SWIMMING: Psalm Deniel Aquino, Ichiro Kong, and Lorendale Echavez. TABLE TENNIS: UC team, Berto Bas, and Sherlyn Love Gabisay. TAEKWONDO: Luiji Estrada, Veronica Garces, Mayn Corna, Zozen Prajes, Wendil Rama, and Dineson Caneda. 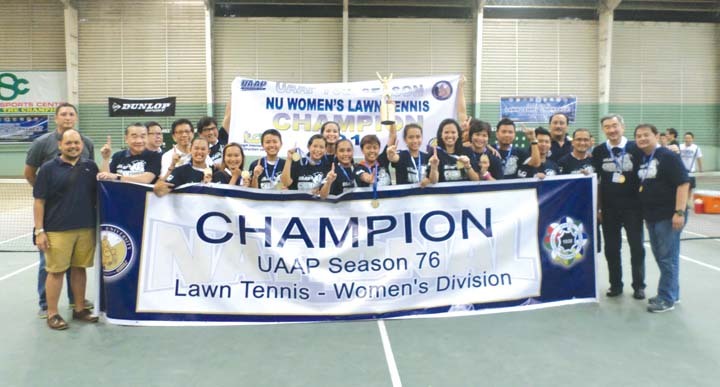 TENNIS: Jan Godfrey Seno, Arthur Craig Pantino, Zethley Mae Alfrez, Shyne Villareal, Jana Pages and Jerico Bohol. TRIATHLON: Justin Chiongbian, John Philip Dueñas, Kristian Lim and Lorhiz Lopez. UNDERBONE: Simon Solon. VOLLEYBALL: Central Visayas team, Gretchel Soltones, Matthew Navace, and Isabel Molde. WEIGHTLIFTING: Leonida Cambajiran and Evangelit Ceniza. WRESTLING: Luis Ansag. To all the awardees and to the sporting fans who want to witness the affair, see you on Tuesday! 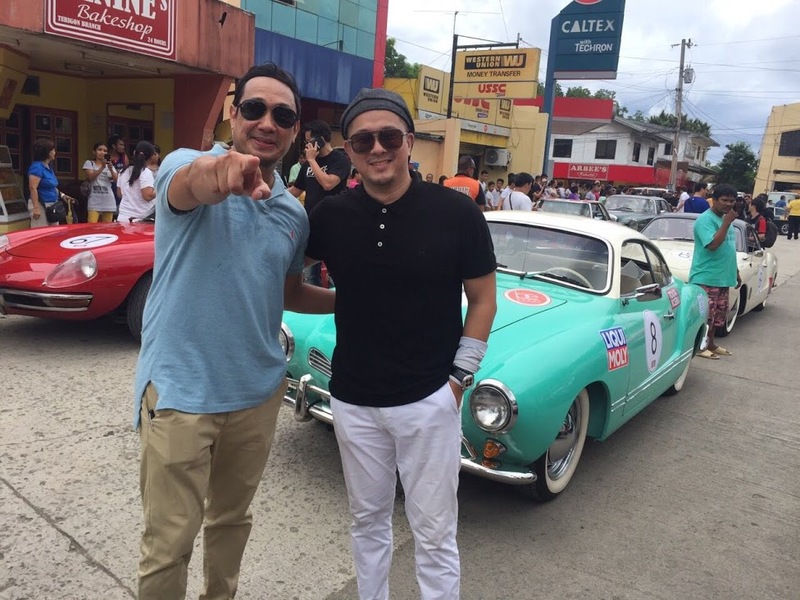 This weekend, Dr. Mancao will join 25 other vintage car enthusiasts, driving from Cebu to Dumaguete to Bacolod and back, joining what is termed as the country’s first-of-its-kind Mille Miglia-inspired touristic rally: the Tour de Cebu. Peter explained that this is not all show-and-drive. “The ERUF is building a training center in Mandaue,” he said. Extra funds generated will be donated to the organization. “ERUF is giving us its full support. One ambulance will be with us for the entire event,” he said, adding that the ERUF team will be on full alert during the Cebu leg. I, too, had first-hand experience last week. My brother Charlie, a car enthusiast just like my dad Bunny, lent me his toy for the night. I drove it home. A tear of sweat trickled down my face. The reason: his 1969 BMW 2002 had no aircon, no power steering, one window couldn’t be opened and I had to press hard the brake. Maneuvering and parking required all of my muscular strength. This screaming loud orange BMW (with the occasional fireworks-like blast) will be driven by Charlie as he joins PACE this Friday. Iconic cars are often displayed in public during a car show. “This time, these will be driven and driven long. Therefore, the limits will be tested for both cars and drivers,” said Chris, a top triathlete whose physical and mental prowess will be tested as he drives the fully-open ’55 Porsche 550 Spyder. Andy Sta. 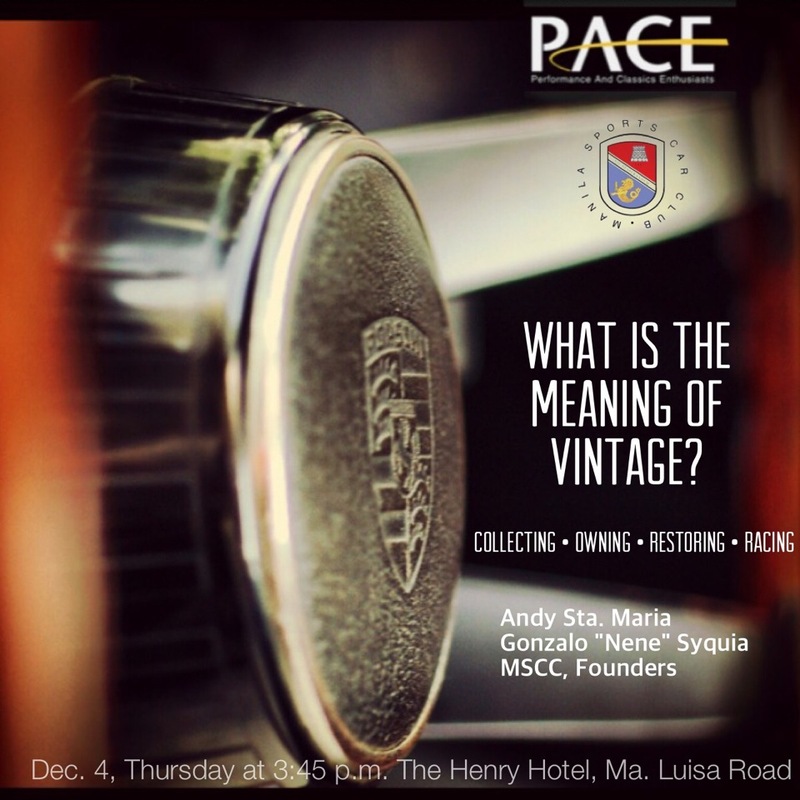 Maria and Gonzalo “Nene” Syquia, the founders of the Manila Sports Car Club, will be here to give a talk entitled, “What is the Meaning of Vintage?” It’s by-invitation only on Thursday at The Henry Hotel, and will be followed by the official race briefing. 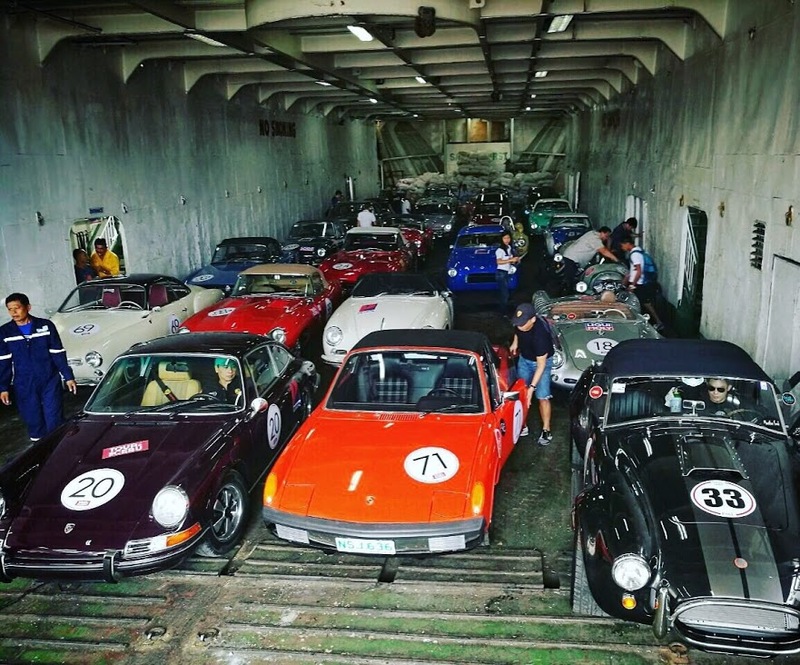 Now, the question: Where can we see these cars, all 26 of them, prior to the call, “Gentlemen, start your engines!” The flag-off is at 7 a.m. this Friday at the Cebu I.T. Park. The cars are expected to depart at 8:30. “What’s good is that you can go near the cars to have photos taken and you can talk to the drivers,” said Chris. 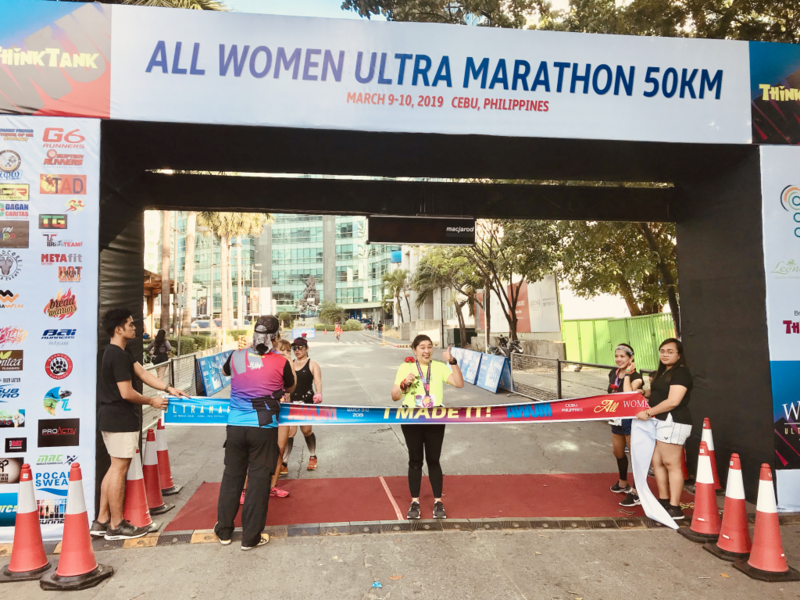 The finish: it’s on Sunday at 4 p.m. at the Northwing of SM City Cebu. Yes, it’s all of the above. It’s those words transformed into one name that’s spelled… Electronic Sports. Inside the Cebu Trade Hall of SM, I met the organizer himself, my good friend Brian Lim. Everybody knows Brian Lim as a sportsman-businessman. His family owns the giant Rose Pharmacy and he’s CEO of Salon de Rose and Pyroworks. With sports, he’s a multi-athlete: He’s completed the IM70.3 and Xterra triathlons; next month, he’ll travel to Hawaii to join the Xterra World Championships. But last weekend, Brian sported a different role: As chairman of PESO — that’s Philippine e-Sports Organization. “It’s a mind sport but without any physical boundaries as it can be played across the internet and across different genres or game types,” he added. I must admit: I’m not a gamer, although I did enjoy the Space Invaders and Pac-Man games by Atari (this reveals my age). But here’s what I know: Tens of millions of people worldwide today engage in e-sports. 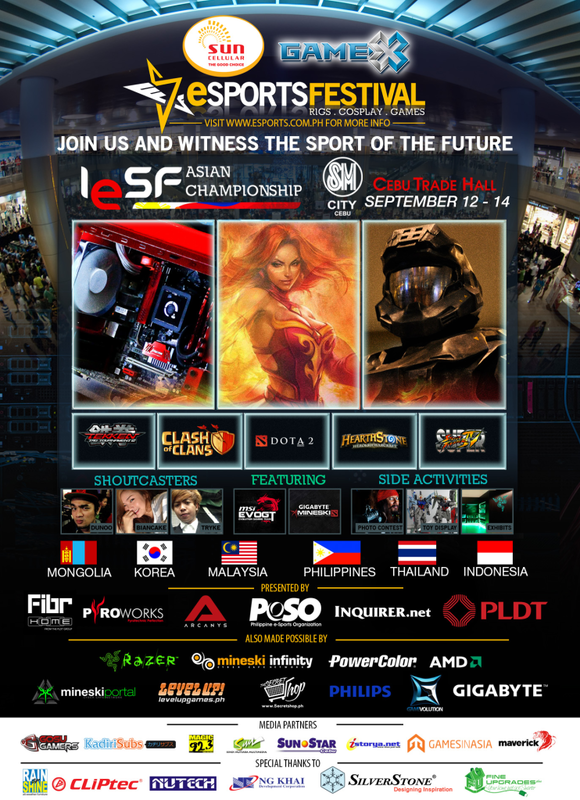 Here in the Phils., the organization PESO is helping put us in the international gaming map. It’s called “The Oscars” of Cebu sports. It’s that one afternoon when all the star athletes from Badminton to Golf to MMA to Rugby to Volleyball to Wrestling get-together and get recognized. 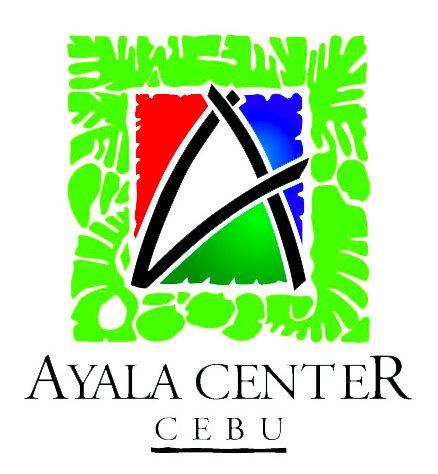 It’s tomorrow from 3 to 6 p.m. at the Activity Center of Ayala Center Cebu. It’s for free. It’s also the 32nd year that this event has been produced. Venues have changed. From the 1521 lounge at the San Miguel Beer headquarters to Grand Convention Center to Casino Español and, tomorrow, at Ayala Center. What doesn’t change is this: Each year, with no miss, the sportswriters of Cebu celebrate by honoring the year’s best performers. Tomorrow’s awardees are being applauded for their accomplishments in 2013. The Cebu Sports Awards is important because of many reasons. It happens only once a year. 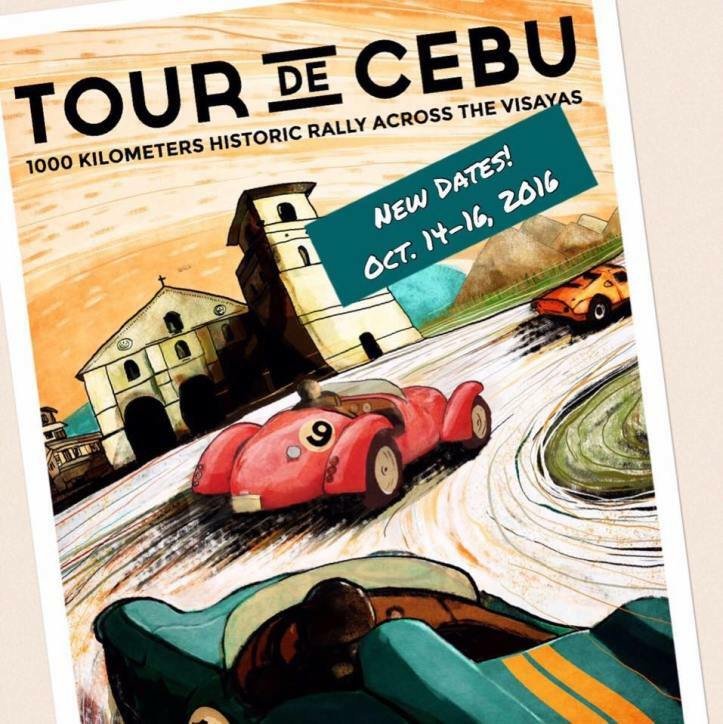 It’s organized by an independent group, the Sportswriters Association of Cebu. It’s long-standing (32 years). It’s held in partnership with one of Asia’s top conglomerates, San Miguel Corporation (special thanks to SMB’s Girlie Garces). Rico Navarro is our SAC president. Joaquin “Quinito” Henson, the preeminent sports columnist and TV personality, will join us tomorrow. He’ll give the Keynote Address. Quinito is that rare individual who is at the top of his field but one who’s remained humble and approachable. We were together in Macau for Manny Pacquiao’s last fight and, during breakfast just hours before MP’s battle, it was admirable to chat with such a respectful and enthusiastic person. Quinito is flying in and out of Cebu solely for the awards. Sportsman of the Year? My good friend Tony del Prado, the man who’s helped steer the artistry of taekwondo, is the deserving executive. Athlete of the Year? Ha-ha. I know the name but I won’t divulge it. That’s reserved for those who’ll attend. See you tomorrow! MAJOR AWARDEES: Rubilen Amit, Johnny Arcilla, Wilbert Aunzo, Rinna Babanto, Mikaela Calamba, Pearl Caneda, CCC men’s golf team, Justin Chiongbian, Johnreil Casimero, Mary Grace de los Santos, Andres Paul Desiderio, Don Bosco Technology Center, June Mar Fajardo, Kim Lao, Glenn Lava, Joseph Miller, Julius Nierras, Donnie Nietes, Rhey Jay Ortouste, Arnie Christian Padilla, Arthur Craig Pantino, Paref Springdale football, Elwin Retanal, Merlito Sabillo, Jan Godfrey Seno, Mary Joy Tabal, and Kiyomi Sarausad Watanabe. CITATION AWARDEES: Pearl Angeline Abellar, Mike Abria, Jonjon Adlawan, Zethley Mae Alferez, Moiselle Alforque, Macavynger Alob, Luis Ansag, Banilad Elem. School badminton team, Felix Shaun Balbona, Hipolito Banal, Jade Becaldo, Jusabelle Brillo, Maegan Bugarin, Moises Bullecer, Cary Bullos, Miguel Calamba, Jette Calderon, Val Calvo, Yuan Chiongbian, Val Andre Chiu, Diego Abraham Claro, Team Cebu City table tennis, Club Filipino de Cebu, Clark Cuico, CEPCA, CFA, Cebu Lady Dragons, Elson Dorimon, and Team Cebu City Dancesport. Philip Duenas, Majordean Ebarle, Bruno Escalante, Jeffrey Estella, Joseph Falcone, Joaquin Nicolo Fernandez, Junia Gabasa, Tonette Gambito, Veronica Garces, Danika Gendrauli, Jimrex Jaca, Eloisa Jordan, Michael Ichiro Kong, Ericka Lim, Ulyross Lopez, Erik Ngitz Lovitos, Aaliyah Ricci Mataragnon, John Mier, Daniel Miranda, Nichole Maurin, Ana Patricia Maximo, Milan Melindo, Neil Minoza, Kintaro Miyagi, Gen Nagai, Anthony Lynn Navarro, and Daniel Noval. Jason Pagara, Jana Marie Pages, Ivan Palmero, Paolo Pascual, Bj Pepito, Mark Kevin Petancio, Neil Perino, Daniela dela Pisa, Kimberly Gabrielle Paler, Kelle Kay Rojas, Madil Salinas, Apple Saraum, Genesis Servania, Rhenzi Kyle Sevillano, Vergilio Silvano, Greg Slaughter, Ralph Eduard So, SHS-ADC, SWU, Nino Surban, Marlon Tapales, Mark Javen Tallo, John Rey Tongco, Arantxa Trebol, UV, Shaia Uy, Jerish John Velarde, Arthur Villanueva, Yaw-Yan Ardigma Cebu, and Edward Ybanez. BUTANDING. 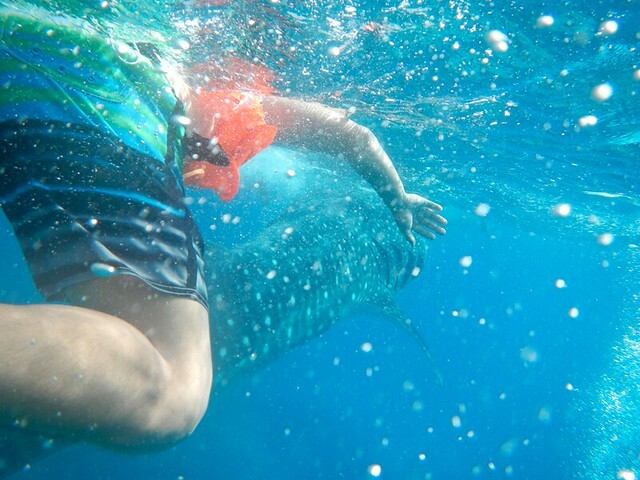 Like the thousands of you who’ve done an expedition to Oslob to dance with the whale sharks, we did the same last Monday. What a super experience! Our group of 25 arrived in Brgy. Tan-awan, Oslob past 6 A.M. We each paid P500 and listened to a short briefing. After awaiting our turn, we boarded three bancas that transported us about 150 meters from the shoreline. With our masks, snorkels and life-vests on, we jumped. The water was 30 to 40 feet deep. Within a few minutes, we sighted a giant creature gliding. It coasted like a Boeing 747. Unbelievable sight! 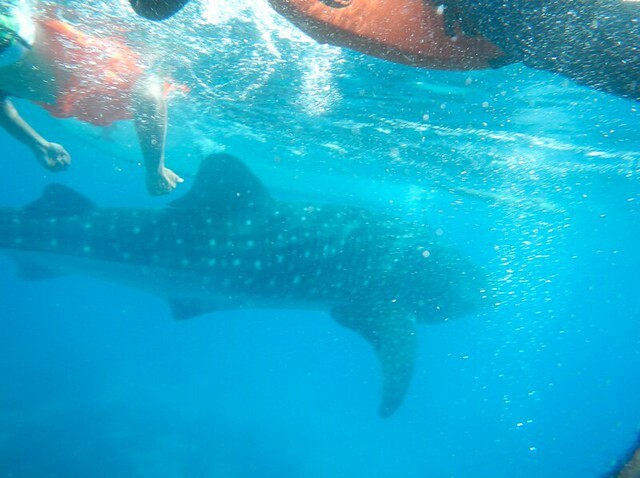 I’ve never seen such a huge living thing (the whale shark is the largest fish species in the world). Then, it disappeared. For nearly 10 minutes, with the current strong, we waited. No giant. Oh no, we thought. Maybe that was it. But then, Jourdan Polotan shouted. Shark attack! It floated and slithered. Over 20 feet long with gray/blue colors and white spots scattered around its humongous frame, the butanding drifted. Its heavy body swayed. All our scary eyes sat frozen and transfixed. It stood up! Yes, another shark, over 25 feet long, stood vertical with its tail nearly touching the bottom floor and its mouth open to devour the baby shrimps (“uyap”). 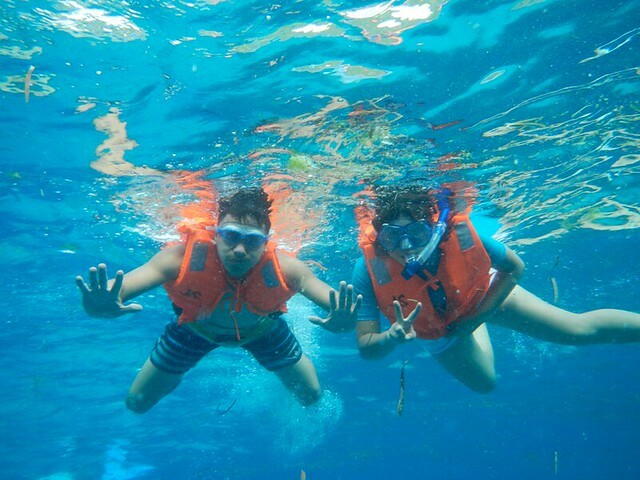 In all—like all who’ve swam in Oslob—it’s a memory to treasure for life. 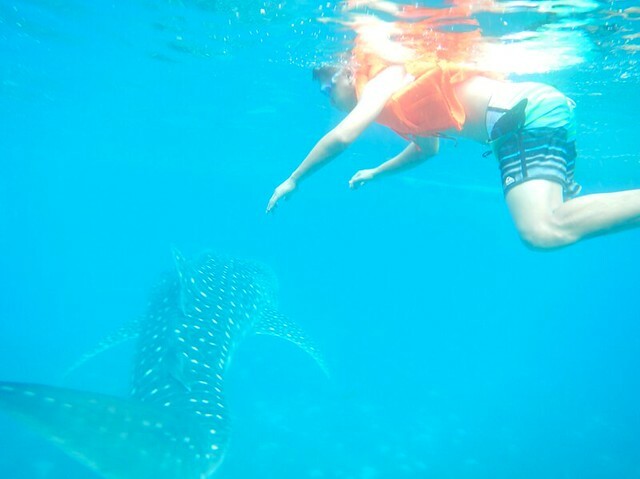 I’ve had a chance to visit aquariums from San Diego to Singapore—but never to swim with these jumbo fishes. Go now! This is No. 1. Why? We can’t control these giants. What if, next month, they decide to have a Board of Sharks Meeting and say, “Let’s transfer to Leyte or Camiguin.” Go now. And be there early: 5:30 A.M.
Visit on a weekday. We camped in Bojloon on Sunday and, early Monday, we traversed to Oslob. Sure, hundreds of people still lined up… but not thousands. Mondays to Thursdays are best. Go with friends and family. Our group from the BCBP included: Jourdan and Jingle Polotan; Benjie, Connie, Bea and Bienco Cimafranca; Albert, Lynn Rose, Krisha and Chleo Nuñez; Docks, Reshel, Patricia and Krista Rodriguez; Francis, Michelle, Micco and Micaela Palmares; Jack and Malu Mendez; my wife Jasmin, daughter Jana and mom Allen Z. Bring your own mask and snorkel. Or borrow from a friend and sterilize. It’s more hygienic. Also, bring an underwater camera. 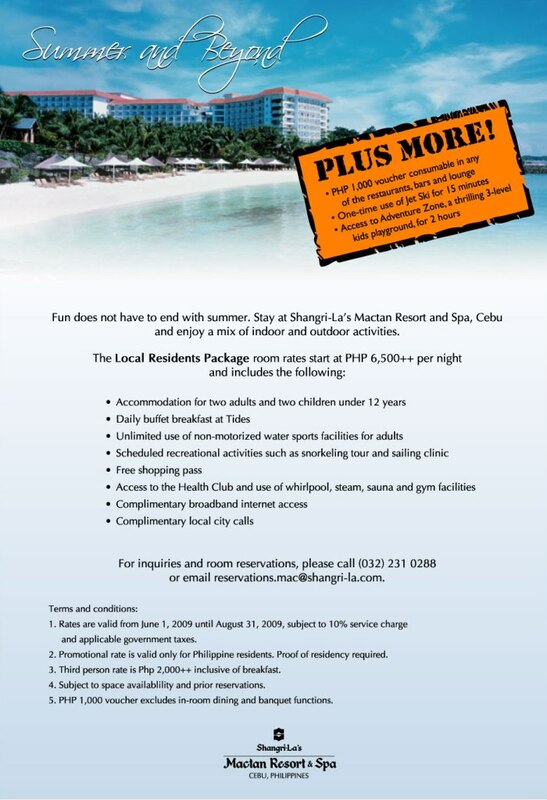 If not, they have one for rent at P500. Eat a little before heading for the water. This will give you enough energy to visit another must-see site after: Oslob Waterfalls. Finally, to the Oslob officials and the DOT: you have the country’s best tourist attraction! Continue the orderly system; impose further strict measures. Invest the millions you’ll generate back to improvements. Maybe have a glass-bottom boat? Boying Rodriguez: 1) Fred Uytengsu invited Lance Armstrong to the XTERRA—I hope he can make it! Wow! 2) A successful Cobra Ironman Triathlon this August. As of today, 1,200+ registered coming from 40 countries! 3) I hope I recover from all the holiday eating and have a decent time in the Cebu Marathon! Rico Navarro: I pray that the sports industry be united to push Cebu as the country’s sports capital. This covers a lot of ground from: all sports stakeholders to have the same mindset; competent hosting of events; having the most competitive athletes in all events; and having all sports/events/local NSA’s taking a united stand for all their activities. Al Mendoza: For Pres. Noynoy to chase the masterminds of the illegal loggers that triggered deaths at the height of Sendong’s fury up to the ends of the earth. For the Pacquiao-Mayweather fight not to push through. For me to visit Liverpool, England, the birthplace of The Beatles. Igi Maximo: To represent Cebu and race for my country in the 2012 Asian Junior Cycling Championships in Malaysia and the World Juniors in Netherlands. To be an example to the youth that being a student-elite athlete is possible. That schools would support cycling and include it in their varsity program. Cecil Mamiit. 1) Wishing a lot of luck and success to the young tennis players with a lot of motivation and inspiration to be the next tennis hopeful to really represent the Philippines in whatever level or opportunity given to them. 2) Wishing a greater number of supporters that will be new to give help to fund or volunteer work to put tennis in a higher level with greater number of players and coaches… which we can call a great supporting cast for tennis. 3) Wishing health and guidance to a lot of the Philippine athletes to really make a possible push for Olympics. Graeme Mackinnon: 1) That the AZKALS v CF Madrid, DILI KAMO NAG-IISA game at Rizal on Jan. 7 be a success in raising funds for the victims of Sendong. 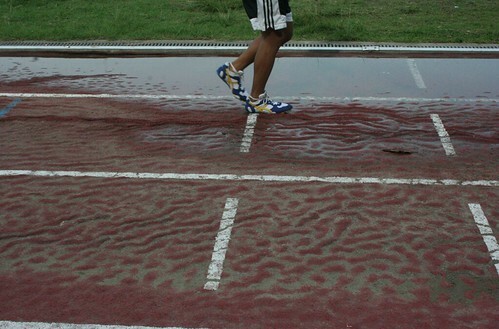 2) That the 2012 Olympics be controversy free and be a TV fans paradise. 3) That GLOBAL FC will take out the UFL League in Manila. 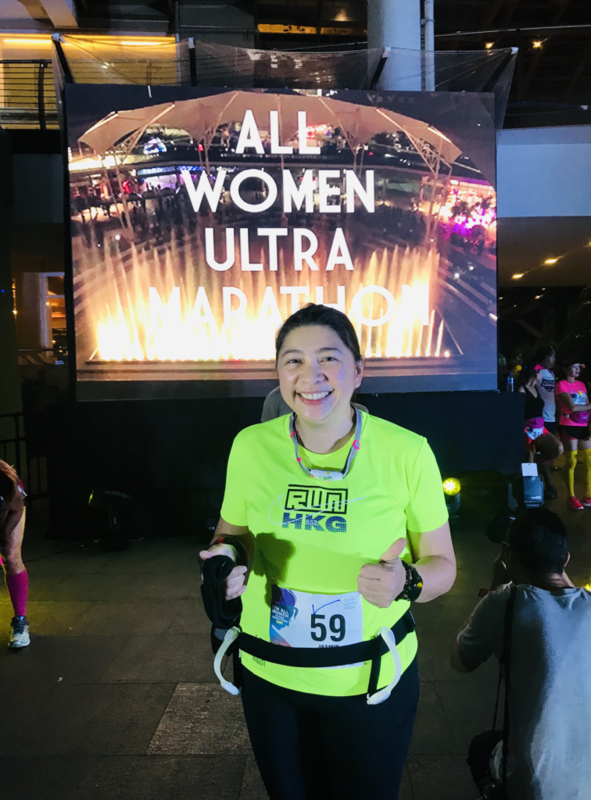 Mike Limpag: Another semis stint or two for the Azkals in the Challenge Cup and Suzuki Cup, another slam or two for Maria Sharapova and I hope to run a couple of 21Ks and my first marathon. 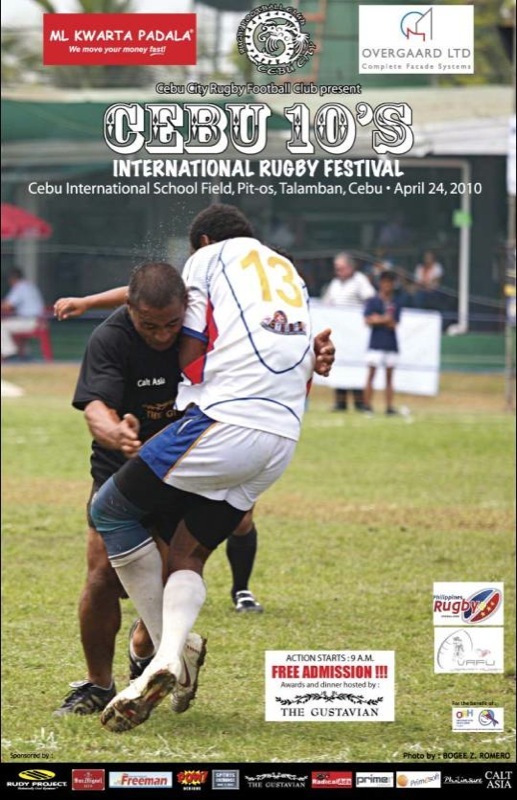 Brian Lim: 1) Sports Tourism in Cebu to grow – emerging sports such as rugby, flag football, airsoft, electronic sports, mixed martial arts, water sports. 2) Get a multipurpose field built – For emerging sports to practice along with traditional sports. 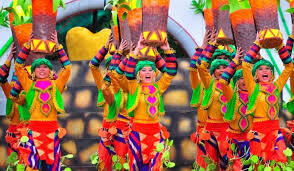 3) To carry out the Great Cebu Sports Festival.. drawing attention to Cebu as a sporting destination. Jean Henri Lhuillier: Wishing the best for the Philippine Tennis Academy (PTA) and that these players play to the best of their ability… to the success of the Davis Cup team. Wishing that the Cebuana Gems win the 2nd season of the PBA d league. Yong Larrazabal: 1) That Filipinos would love the Phils. even more by stopping illegal logging, illegal poaching of its wildlife and destroying/wasting our natural resources. 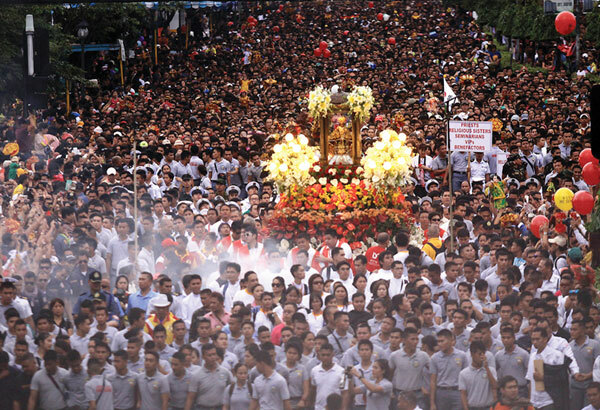 2) That Cebu would regain its spot as the no.1 city in terms of quality of life, Sports and Medical Tourism. 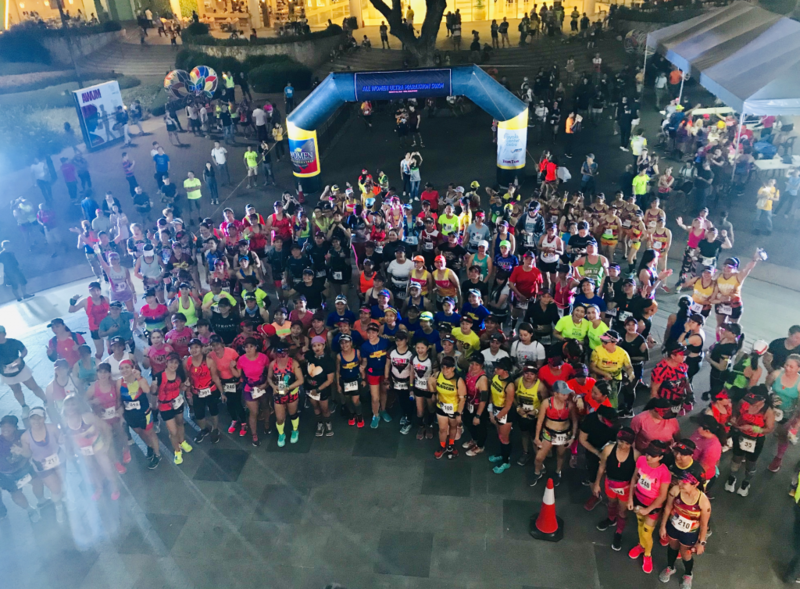 3) That only 1 run be allowed every Sunday in Cebu so as to build a strong camaraderie among runners and not to induce divisiveness. Noy Jopson: Cobra Ironman 70.3 offering Kona slots again. My wifey Amale improving at least 18 seconds on her 3:46.17 Marathon PR and qualifying for Boston. Our new The Brick Multi-Sport Store at the J Center Mall fulfilling the needs of the Cebu Triathlon community. Samsam Gullas: Filipino unity. Fighting together, not against each other for one common goal. 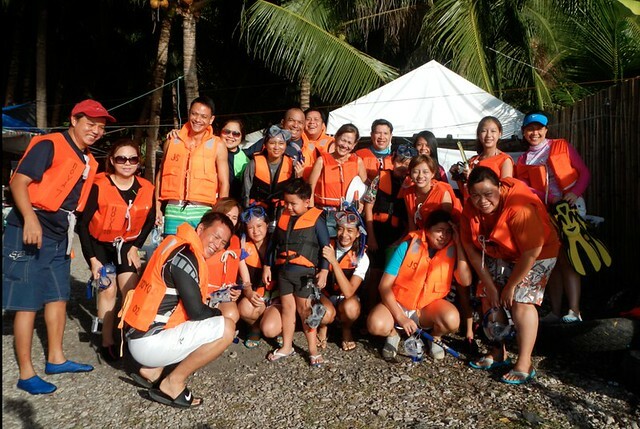 Everyone will do their part to help out in the recent flooding in Cagayan, Iligan and Dumaguete. Pacquiao fights Floyd and knocks Floyd out. Double championship for UV basketball. Guy Concepcion: That Lance Armstrong joins the XTERRA Phils. in Liloan. That all participants have a good/safe race in XTERRA and Ironman 70.3 Phils. Jack Biantan: Pacquiao vs Mayweather fight to push through. More success for the Azkals. Gold medal finish for the Phils. in the London Games. Jesse Bernad: That leadership in the Philippine Amateur Baseball Association be resolved so that baseball can move on with newer programs. That local leaders continue to support baseball/softball with tournaments and provide an adequate playing field. That Cebu shall send the best team to the 2012 Little League Baseball and Softball Philippine Series. 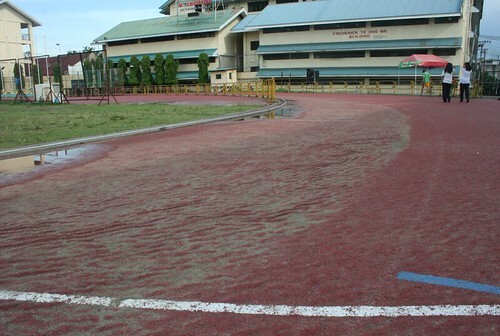 Ricky Ballesteros: To finish the newly-refurbished track oval before March. Cebu Sports Museum and Hall Fame to complement the Cebu City Sports Center. 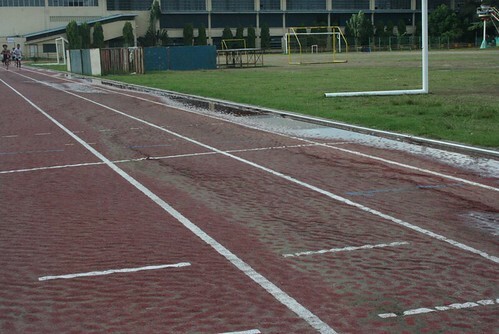 Host the Palarong Pambansa or any international competition. Michael Aldeguer: 1) For all the Filipinos to unite for the good of our country. 2) Philippine Boxing to bring more pride and joy to the Filipinos all over the world. 3) AJ Banal and Milan Melindo to fight for World titles as both are WBO rated #1 and #2. If there’s one magazine I suggest you buy, it’s this: “A Tribute to The Legend.” On the cover, in black-and-white, is the Congressman from Sarangani raising his boxing gloves after another victorious fight. All of 73 pages of glossy photos and innumerable facts, if you’re a Manny Pacquiao fan—who isn’t except Antonio Margarito?—then you ought to visit Fully Booked or National Bookstore to get one. We know PacMan is the greatest Filipino athlete ever—and his heroics may never be surpassed. And so I consider this P299 booklet a collector’s item—something I’ll show my grandson 28 years from now. MILO. This weekend and the next, a total of 5,000 girls and boys will kick in sepak takraw, glide through the blue water in swimming, flick their wrists in ping-pong, score a header like Spain’s football team, and smash an overhead badminton lob. It’s back. The 15th Milo Little Olympics, like it does for two Saturdays and Sundays each August, is in Cebu. In total, 207 schools will compete for the golden medallions. Thanks to Nestle. FACEBOOK. Having resisted joining the cult for years, I finally relented three months ago. Today, like you, I’m one of 500,000,000 users of the most widespread social network in this planet. I don’t get to visit each day. But when I do, what do I do? I scan comments and browse photos. Just this week, I’ve learned a technique to upload multiple photos (I know, I’m a FB latecomer!). And so, to all those who joined last January’s Cebu City Marathon, I’ve posted in my FB never-before-released “01-10-10” photos. Check it out. MEGADOME. Remember the time when Gov. Gwen Garcia’s father, Pablo Paras Garcia, was our Cebu governor? And how he proposed to build the Cebu Megadome? 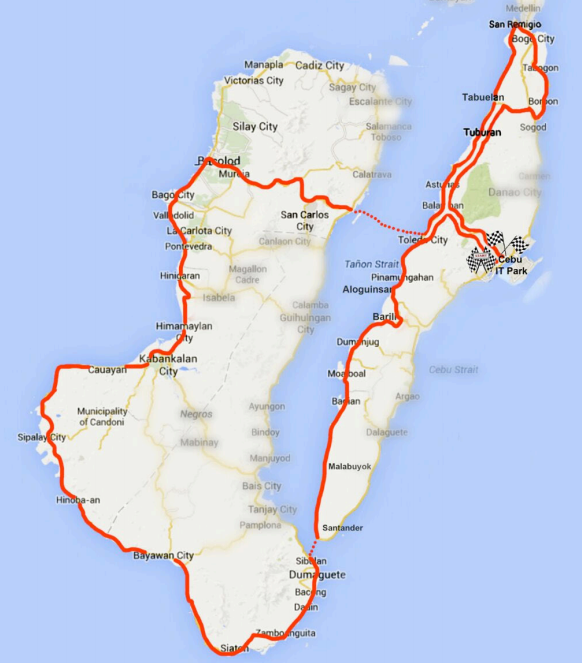 How I wished the current Representative of Cebu’s Second District made that a reality. 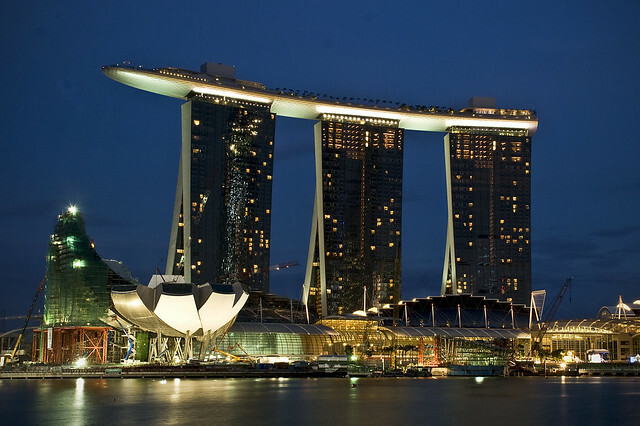 Imagine Cebu with a world-class stadium? That’s air-conditioned? With comfortable seats? And electronic timing devices plus a giant LCD screen hanging at the center? We wish. This thought came to mind while sweating at last Saturday’s opening of the Cesafi. Inside the oven called the Cebu Coliseum, there’s only this good news: you exercise by perspiring as much as the basketball players you’re watching. 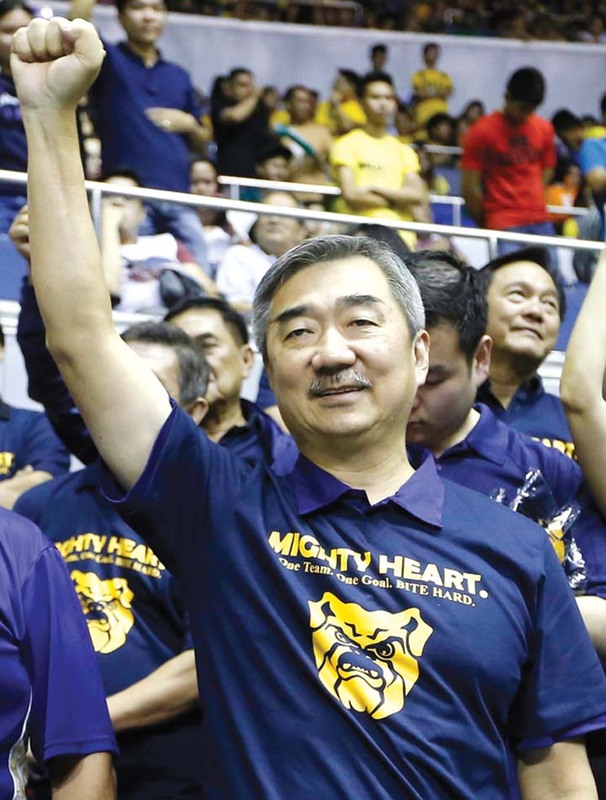 I can’t blame the Coliseum owners, Frederick Ong and Atty. Gus Go. They’d have to invest hundreds of millions to cool our bodies and fully-rehabilitate this derelict structure. And the all-important three letters in business—ROI—does not look good. That’s why the Cebu Megadome was essential. We had the money. Pabling Garcia had the vision. Sadly, due to critics, due to the then-Provincial Board’s obstructionist tactics, what we have is the CICC. Good. But not good enough. The Megadome would have been far more productive. Imagine PBA games between San Miguel Beer and Alaska. Volleyball contests by short-shorts-wearing Brazilian hotties. Roger Federer vs. Rafael Nadal (hahaha). Futsal. Badminton’s Lin Dan vs. Lee Chong Wei. Lady Gaga in concert. All possible with the Megadome. Sayanga uy! TIGER. What’s wrong with him? After winning seven of 11 at the Firestone Country Club in Akron, Ohio (LeBron’s hometown), what does Mr. Woods do? He shoots a 4-over 74 in Round One and, the next day, scores 2-over. Excluding his performance last night (RP time), he’s tied for 75th place out of 81. Unbelievable. Tiger is 6th… to the last! Is it the impending divorce? The worldwide condemnation? Maybe. One thing’s for sure: Golf is mental and what’s damaged is the tissue found between Tiger’s ears. It used to be his strength. The CPU that his body accessed like a computer to win. Now, that CPU has malfunctioned. Inside, there’s a virus. And this disease inside his brain is affecting his putting… everything. And with TW about to lose the No.1 mantle to Phil Mickelson and with him turning 35 years old this December, can he still break it? I mean, his 14 majors overtake the 18 of Jack Nicklaus? While we thought this was 100 percent sure—before a Cadillac SUV smashed a tree—now, we’re unsure. So is Tiger. Mr. Unsure.